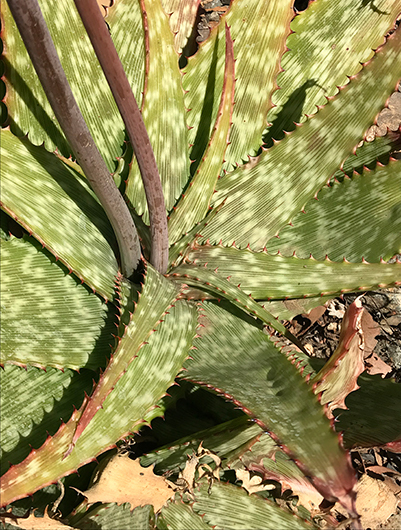 Of all the types of aloes, the group known as the maculate aloes is one of the most taxonomically difficult. “Maculate” means spotted, and most of them do indeed have spotted leaves, but it is important to note that this is not sufficient to identify plants in the group, since there are some included species without spots, and also various spotted species which are not members. Most of the maculates are stemless or have very short stems, and often they produce offshoots to form a clump, but again these characteristics are not unique to the group. The main feature uniting them is a globose swelling at the base of the flower. The difficulty in classifying these plants is that there are so many populations with slightly different characters, and it is very hard to say which ones are different enough to qualify as a separate species. In the mid-twentieth century, botanists tended to favor narrowly defined species, so many names were recognized, but later classifiers have advocated a broader species concept with many of the old names treated as synonyms. Clearly we will never arrive at a set of names which pleases everyone, but still there are some species distinct enough that almost everyone accepts them. This is true of Aloe branddraaiensis, from Limpopo Province in northeastern South Africa. The ending “ensis” means “coming from”, and this aloe comes from the area around Branddraai, South Africa, to the east of Burgersfort. Sometimes plants are single-headed, but often they have a few offshoots at the base. The leaves are up to 14 inches long (35 cm) and 4 inches wide (10 cm), with whitish spots peppering the surface as well as lengthwise lines. Often the spots are arranged in undulating bands across the leaf surface, but this is not always the case. The leaf margins are lined with reddish-brown or orange-brown sharp teeth. 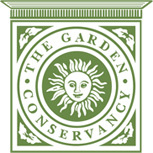 The tips of the older leaves may become dried and twisted, especially on plants exposed to full sun. In shade, the leaf color is deep green, but with increasing light levels plants acquire a purple or reddish tinge. 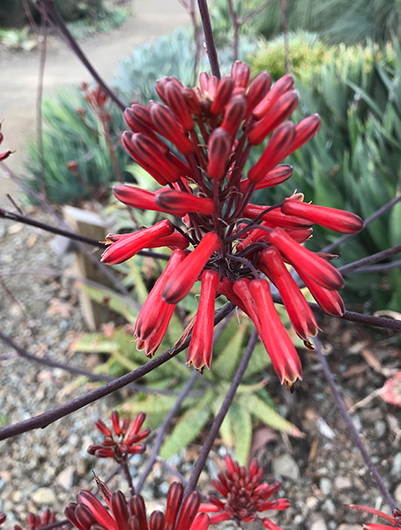 Aloe branddraaiensis is winter-flowering, with an inflorescence which is branched and re-branched to form a panicle with dozens of clusters of tubular red flowers. 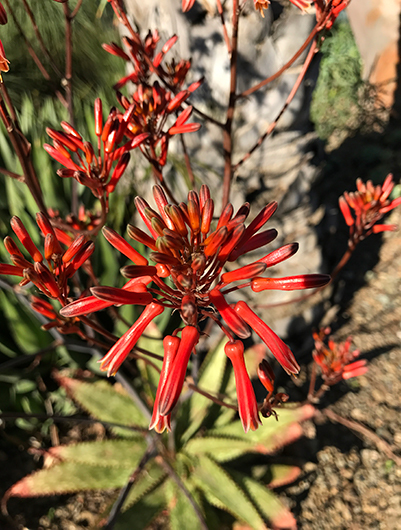 As with most aloe species, the flowers in each cluster open sequentially from lowest to topmost over a course of several weeks. Each flower has a rounded base, narrowing a little above this, and then increasing again in diameter toward the mouth. The base and the narrow portion are solid red or coral-red. The upper part of the flower is red-and-white striped, with a touch of slate purple at the tip. On full-grown plants, two or three flower stalks are produced from a single rosette in one flowering season. 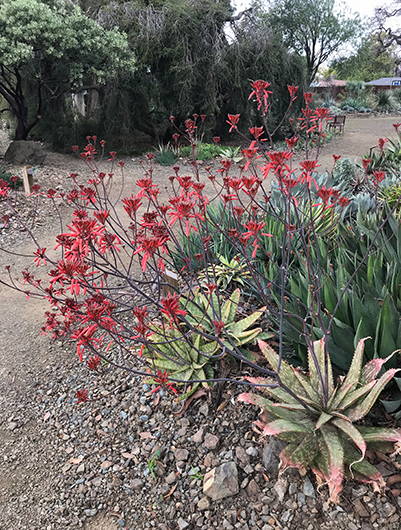 In habitat in the Southern Hemisphere, the peak bloom time is late June to July, while at the Ruth Bancroft Garden in California this happens in January and February. This is not a difficult species to grow if given at least a half day of sun, so long as it is kept from temperatures below 27° F (-3° C). Though it prefers dry winters, it can be grown in winter-rainfall climates if provided with excellent drainage and occasional watering during its growing season in summer.